PocketGamer.biz is a media partner of White Nights. Thanks to White Nights and App2top.ru for supporting our recent PG Connects event in Helsinki. Futureplay has always touted the potential of rewarded video advertising since the company's inception. 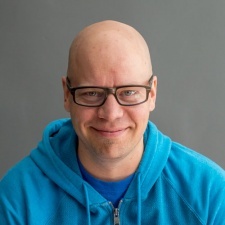 When we caught up with Futureplay CEO Jami Laes ahead of his talk at Pocket Gamer Connects Helsinki, he discussed just how lucrative it has been for the company and why he still believes in the potential of view-to-play gaming. PocketGamer.biz: Today you are an evangelist of a view-to-play monetisation. Could you give us a brief overview of the model please? Jami Laes: View-to-play means a model for structuring the gameplay, sessioning and developer's monetisation around generous use of rewarded video ads as a way for the players to advance, boost and enhance their game play experience with or without in-app purchases. So in our games you can play and advance in the game without purchasing or viewing ads, but leveraging both will make the game more fun and allow the player to progress faster. 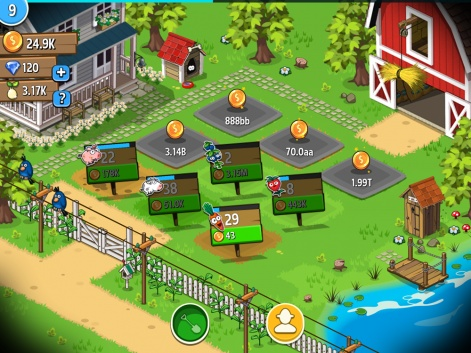 Ads has a lower entry barrier to convert since there is no out-of-poket costs for the player, just 20 to 30 seconds of their time in return for the in-game boosts and rewards. You were the first one to start talking about this type of monetisation as an all-sufficient system. How did this idea come to your mind? Our thinking on View-to-Play was based on our experiences in previous companies where we saw our ad revenues growing even with decreasing audience sizes. Researching into the market data it became obvious that mobile video ads were grownig faster than even IAPs and would be huge market in a few years. We've also seen how the mobile game industry has changed in the past 17 years and keeps on changing with new models, games, mechanics etc. So we thought that if ads were done right they should work well for players, advertisers and game developers and decided to focus on it as the next unoccupied part of the market that most companies were still overlooking at the time when we started our company in 2015. What part of a game's revenue comes from ads for most developers? This varies so much between different games and developers who leverage mobile video ads a lot like us or ones that don't have ads at all. For us 75% of our revenues are from rewarded video ads and 25% from IAPs and this has stayed fairly consistent for almost two years. I think the ad revenue share is growing due to more and more developers seeing it as a viable source of revenue for their game and whole audience and not only for non-payers. A lot of revenue comes from ads. However, not many companies are ready to officially announce that they are using view-to-play model. Why do you think this is happening? I think that if ads has not been the focus for them, they don't feel the need to call it out specifically as a separate model. It is just something that is a part of their overall monetisation toolkit. 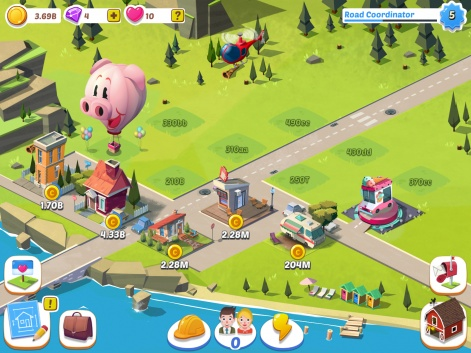 We have focused on view-to-play from the start and have designed, developed and operated our games with an ads first mindset, but our games are free-to-play games just as well with IAPs, but ads are not an after-thought for us. Is it possible that view-to-play will replace free-to-play (IAPs) one day? For many it already has in a way that ads are here to stay for most games. But I don't think there ever will be a single solution to everything, the world is more complex and keeps on evolving - so do markets and players and their tastes. In a few years some new models will arise as well and everybody needs to find the right mix for their product and audience - to be able to make money and players happy. What games benefit from the view-to-play monetisation model the most? And what type of games should be monetised in more traditional ways? Are there games that shouldn’t use ads at all? When a monetisation model is new it is easier to envision it working more easily for certain games and some other game genres might be harder to adapt. It was the same initially with free-to-play as well, it took many years and attempts from various developers to figure out the right ways to do it in some genres. With View-to-play, some genres are more easy to fit into the model than others, but I believe that ads can be a part of the monetisation and reward mix for almost any game if done correctly. Certain audiences are also more receptive to ads than others and the balance between IAP and ads need to be adjusted for each game and audience so that they both fit the game play experience naturally. What’s the biggest challenge of working with view-to-pay? What should you always keep in mind when working with the model? Start with the ads first, not later in development. They need to be a part of the core loop, economy and sessioning from the design stage already. If you only start thinking about how to leverage ads at the end of the project you won't get the best results. The more a player plays a game, the more ads they see. Hence, constant repetition of the same ads can get very annoying. How do you deal with this problem, or is it a problem at all? We manage our own ad inventory and self-mediate to get the best experience for our players. But still sometimes when a game is being heavily marketed there can be some repetition. To some extent that is not a bad thing, people are used to seeing repeated marketing messages - it is part of the nature of the messaging. How does constant necessity to watch video ads (even interesting ads) affect retention? Ads are not a necessity any more than any other feature of the game is a necessity. Watching them helps in progressing in the game, but so does playing the game and doing any of the other actions that are meant to be done. But the short answer is positively. People who are engaged and like the game, view the ads more than others and they play for longer as well. How much money per day can one make from a loyal player from video ads? Our top 1% of players watch over 30 rewarded ads per day and generate about $1 per player per day, if an individual player would go on and install a number of games from the ads and start to play the games the total daily revenue per player could be as high as $25. Some of our most loyal players watch over 200 ads per day. The main problem with implementing ads in a game is that it requires involvement of too many parties (mediators, ad networks, etc.). It is pretty hard for a developer to keep track of everything at that stage, yet they have to do it as all his revenue depends on his partners. Do you agree? Is there an effective way of controlling the entire process? There are some mediation platforms that hide the complexity and a developer doesn't need more than a handful of ad networks to gain most out of the market if self-mediating the networks with direct integrations. It sounds more complex than it actually is. Of course as the scale of the game and business grows so does the complexity, but to get started it is pretty straightforward for even a one-man studio to get going. If view-to-play were to become the main monetisation model on the games market, how - in your opinion - would the market change then? If all or majority of games focused on ads, there should be more ad inventory available. I would think that more supply would lead to lower CPIs and lower eCPMs, but that would be compensated with more games being able to spend on user acquisition and with the growing number of brand ads coming finally into mobile. If ads would be done in a way that players would like the games and viewing the ads, I see only good things coming out of it. But just like with F2P there will always be some games that do a poor job and could upset some players - hopefully as view-to-play adoption grows developers will take the time to think how to do ads right for the players, advertisers, networks and themselves to create positive experiences to grow the market.